Think I messed up. I am sitting in row 12 champion side., is that to close to the track? Row 12 in the Champions stands will be ok. You can see all around the track, and pit road. It is a little close but not bad at all. I just want to see a good race. This is also my first race. We will be in Petty Grandstand, Row 24. Any idea how good those seats are? Also, was wondering where to get scanner frequencies. Any help is appreciated. Really no bad seat at Atlanta. I have sat in Petty many times and enjoy the view. If you are in sections 104 to 117 you will be able to look down pit road. From any section you will be able to see the whole track. Bring your sun glasses because the sun gets pretty intense late in the day. Scanner frequencies are available at the souvenir trailers in front of the main grandstands. Alcohol is ok anywhere except Petty Grandstands section 113, they will not put you there unless you ask. Have fun!!!! 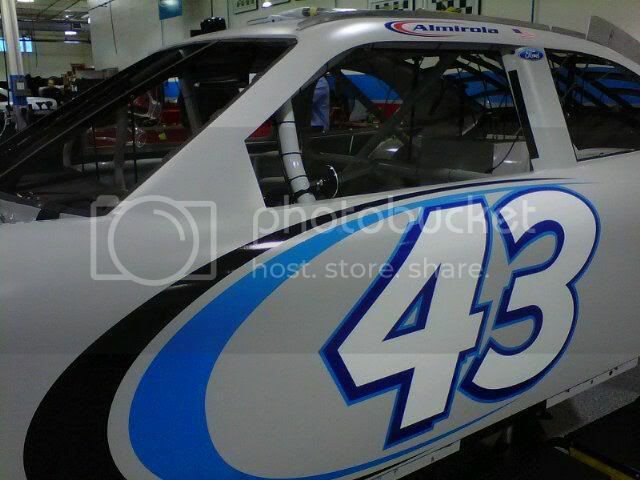 www.atlantamotorspeedway.com Has alot of good info on parking and traffic tips. Make sure you are in the right parking lot for the direction you want to travel after the race. I would get to the track by 8:00 am. Lot of things to do outside the track to keep you busy for a couple of hours. Bring your sunscreen and sunglasses are a must in the Petty stands because the sun is in your face late in the day. Enjoy the race!!! ...... was wondering where to get scanner frequencies. Any help is appreciated. Scroll down the page a bit, and the '09 Cup frequencies are on a list you can copy and paste to a Word or Notebook file and print out. Do they come arond a sell ice in the campgrounds? Yes they do. They actually go through quite regularly up and down the access roads right in front of all the sites. Sometimes they move kinda quick so you have to be keep an eye out for 'em and don't be shy about yelling 'Here'! Guy comes through in the mornings and sells newspapers too. Then, you'll also have several freebie promotion things come through. Nothing big....packages of Tums, Advil, bottles of hot sauce, etc. They are usually eager to get rid of the stuff so you grab as much as you want.